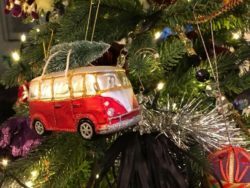 With Christmas fast approaching we’ve put together our gift ideas list that will delight every campervan enthusiast in your family. Whilst the summer days are the perfect time to get away a late winter camping trip can be just the thing to blow away the cobwebs. 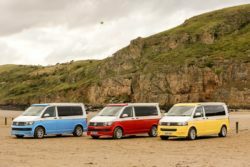 With our fully equipped vans you can camp in comfort and warmth cosy from the elements. 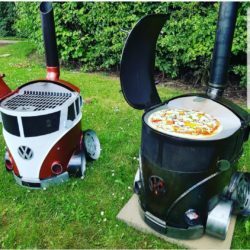 These VW Campervan log burners are made by Creation Fabrication, a small Cheshire-based company that make the coolest burners. Visit their site you won’t regret it! Christmas the perfect time for getting the family together and playing with Lego. 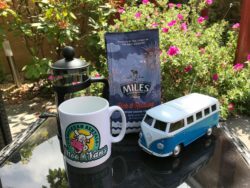 For campervaners young and old or simply if you’ve always dreamed of building your own campervan these come with the finest little details. 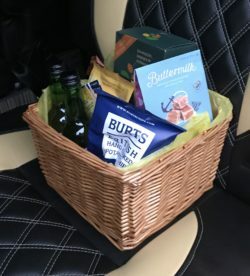 Local produce we stock in our welcome baskets make lovely gifts whilst supporting some fantastic local food producers. We’d recommend including Cornwall’s Buttermilk Fudge, Somerset Miles Tea & Coffee & Bradleys Fruit juices for a festive treat.